University of Glasgow :: World Changing:: Contributing to the foundation of the dietetic profession. Mary Andross introduced new and innovative courses for the training of dietitians in Glasgow. Using her chemistry background she studied the chemical composition of food, and applied analytical procedures to different cooking techniques to determine its effects on the nutrients in everyday foodstuffs. She was particularly interested in the study of changes in food proteins, especially during the cooking of meat and of eggs. She was disseminating her research as early as 1936, the same year the British Dietetic Association was formed. She carried out original research on sources of vitamin C, in particular rose hips, and into methods of preserving fresh vegetables and fruit. Her studies of nutrition were so new to society that they were widely reported in the press, particularly during World War II. She was enthusiastic about her profession and combined her knowledge of nutrients and food composition with a love of cooking and a passion for teaching. 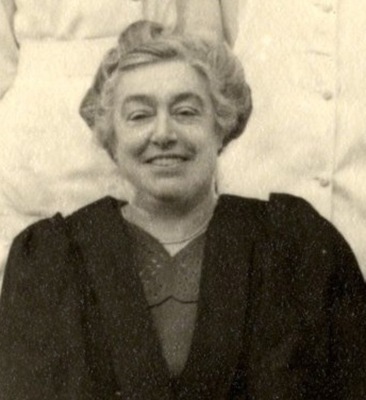 She was appointed to a lectureship in the Science Department at the Glasgow and West of Scotland College of Domestic Science in September 1924 where she set up her innovative dietician courses. The course was aimed mainly at trained nurses and intending dieticians. Students on the course studied physiology, hygiene, biology and bacteriology along with cookery, laundry and some book keeping. She was a popular teacher, well liked by her pupils, and she went on to become Head of Department in 1940. 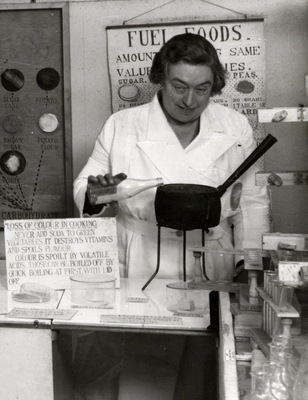 Her knowledge of food composition and her research into the preservation of food was particularly useful during the Second World War when she was heavily involved in the College's bottling, pickling and canning campaign. She also led and organised a group of College staff who volunteered their free time to visit rural areas of Scotland educating and helping communities there to preserve fruit, vegetables and other types of food during a time of rationing. Andross, M. 1953. The growth and development of the dietetic department. International Journal of Food Sciences and Nutrition. 7:4: 177-81. Obituary. 1968. International Journal of Food Sciences and Nutrition. 22: 2 : 98-100. 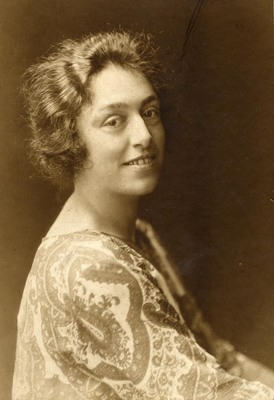 In 1916 the pioneering dietician Mary Andross graduated with a BSc from the University after studying Anatomy, Organic Chemistry, Zoology, Natural Philosophy and Physiology. The appointment led to innovative teaching and research in dietetics. World Changing Project, "Contributing to the foundation of the dietetic profession.," in University of Glasgow World Changing (University of Glasgow, 2010); http://www.worldchanging.glasgow.ac.uk/article/?id=8 (accessed April 26, 2019). World Changing Project. "Contributing to the foundation of the dietetic profession.." In University of Glasgow World Changing. University of Glasgow, 2010. http://www.worldchanging.glasgow.ac.uk/article/?id=8 (accessed April 26, 2019). World Changing Project. "Contributing to the foundation of the dietetic profession.." University of Glasgow World Changing. University of Glasgow, 2010. 26 April 2019 <http://www.worldchanging.glasgow.ac.uk/article/?id=8>.